It's been a distinct pleasure to work with editor, author, teacher, and now publisher Rayne Hall on her Ten Tales series of fantasy titles. She has sought out stories from established authors in the fantasy genres. But she has been committed to giving less well-published authors like myself a chance. The result is line up of anthologies that will be rolled out over the next year, some of which might include more of my work. Haunted: Ten Tales of Ghosts was published in December 2011 and Bites: Ten Tales of Vampires in February 2012. All the books in the Ten Tales Series features short stories in a myriad of styles by, well, ten authors. My contribution to Haunted, "Breakwater Beach," focuses on the hero and heroine of my Cape Cod Paranormal Romance novel series. The first two books,Unfinished Business and The Widow's Walk are complete and in the hands of agents right now. "Breakwater Beach" is a pastiche introducing Liz Levine and Mike Keeny, who share a past they can't recall--because it was in another life. Liz discovers that he ghost haunting Breakwater Beach is her own, the widow of a sea captain who has returned to draw her backward so they can complete some unfinished business. I'm thrilled to be able to engage readers who love paranormal romance in a contemporary setting with a sharp edge but a gentle hopefully ever after ending. And I'd love to connect with them so I can let them know when the full length series is available. 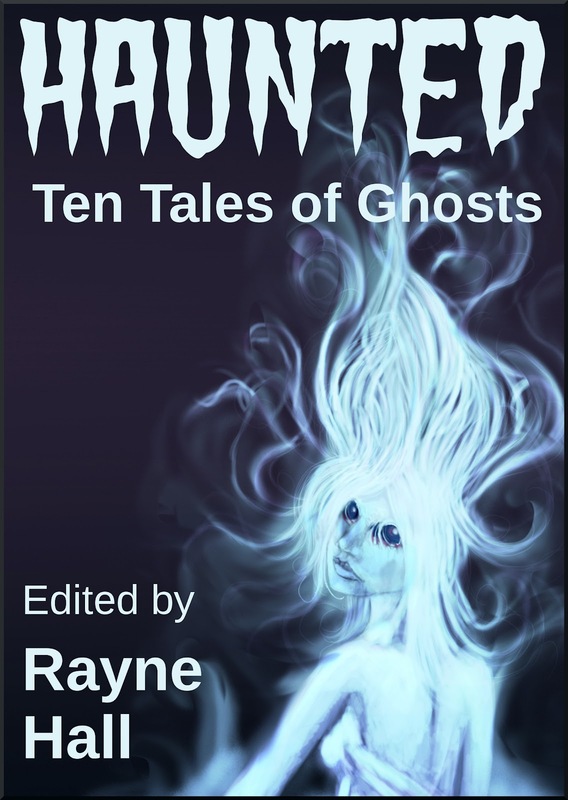 Rayne has put together another incredible volume for those who like to stick their necks out and tiptoe onto the darker side. "The Dhampir's Kiss" introduces the characters in my current writing project. A gritty urban fantasy, Boulevard of Bad Spells and Broken Dreams (also in the hands of an agent), is set in The Bronx, notorious for its gang violence, arson, drugs, prostitution. A beta reader compared to Sin City, and I describe it as and mix-up of the film Fort Apache, The Bronx and Tom Wolfe's Bonfire of the Vanities with an updated paranormal twist. Why am I releasing snippets of novels to be? Why am I jumping into writing for anthologies? Because after six years hard work, I'm proud of my babies and want to share snapshots of them with readers. So far, the response has been most gratifying. I'm sure all the authors who have contributed to the Ten Tails series have their own reasons: connecting with new readers, giving new life to previously published stories, or the thrill of finding a home for something they've worked on for a long time. Fantastic Fiction readings, sponsored by Ellen Datlow and Matthew Kressel, which are held in New York City every third Wednesday of the month at the KGB Bar. No, I'm not reading but try and claim a seat by the bar to watch the stars come out. Fiction Fest, sponsored by the Connecticut Romance Writers Chapter of RWA, in Southbury on May 12 2012. Signings begin at 4pm and are open to all at no charge. I'll be selling all my books (and giving away book cards for my e-reader fans), no matter where and when they were purchased. I assure you it will be worth the trip. Romance writers give out the most incredible swag! Rumor has it that some of the authors who have also contributed to Haunted and Bites might join me at some of those venues. If you can't make it to any of the above, ping me and I'd be happy to send you a signed book card or chat about writing on Facebook or Twitter. 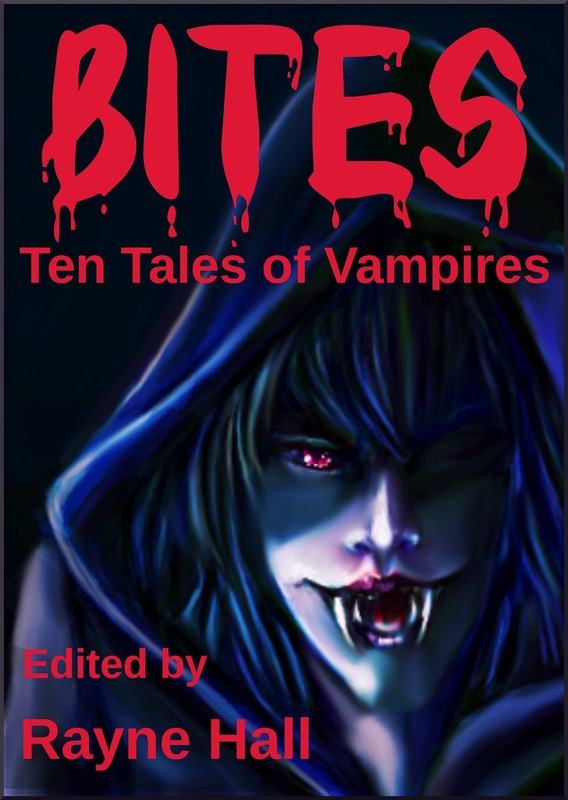 So, hop on over to and check out the author list and sample chapters of Haunted: Ten Tales of Ghosts and the newly released Bites: Ten Tales of Vampires. I'll be hanging out on The Book Boost on 2/24/12 to answer questions about my stories, my characters, writing in general, and how I get ideas. And I'd love to give away a free copy of Haunted: Ten Tales of Ghosts and Bites: Ten Tales of Ghosts to readers who jump into the discussion, so ask away-either here or there.